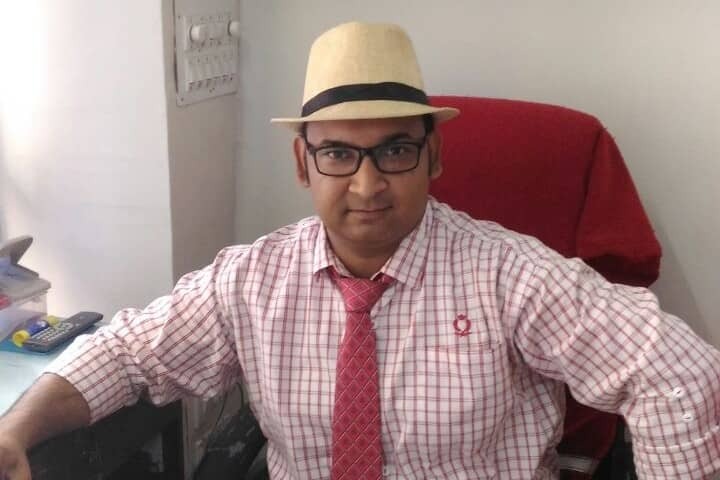 Aditya Trivedi, known affectionately as Mr A or Mr Fixit, is one of Udaipur’s premiere travel agents and one of Educate for Life’s oldest supporters. Actually, Mr A doesn’t even call himself a travel agent. He says, “Whatever people need helps with, regardless of whether it’s under my job or not, I don’t care. I’ll just make sure that the job is done in the proper way, that’s it”. It’s this attitude to kindness and service that has enabled Aditya to help over 200,000 foreign tourists travel comfortably around India. Ed and Ash, and the growth of Educate for Life, have been one such job that Aditya has ensured he has done properly ever since he first started supporting us back in 2008. When asked why he supports Educate for Life, he shares, “The work what you are doing for my country and my community is the work that is almost impossible without Ed and Ash’s help. And all the people actually, all the trustees and all the people that are giving funds to Educate for Life, you are creating what I want to be the future of my community”. It’s also his confidence in Educate for Life that inspires him want support us. “I know that every rupee given to Educate for Life goes to help the people, and I have seen how hard they work. This is how it should be. The fact that they have run this project for 10 years where no-one, ever, in the rarest of rare remote area, has succeeded in doing anything like this before is what inspires me. [Educate for Life] have doubled enrolment in school, they are teaching children in loving and caring way, like I would want for my four daughters and son – this is what charity should look like, this is what rural schools should look like in India”. We are sincerely grateful to Aditya for all his support. There are two ways below you can support us as you can. If you want to support in some other way, please get in touch. It’s a secure one-page donation form, and takes less than a minute. It helps other people support too. Twitter. Google+.